Pascale Le Blanc is an Associate Professor at the Human Performance Management Group of Eindhoven University of Technology (TU/e). Her research and teaching focuses on the sustainable functioning of organizations and their employees, with a specific interest in the management of change/adaptation processes on the individual, team, and organizational level. Key areas of expertise include sustainable employability, (social) innovation, intervention research, worker health and well-being, and leadership. Currently, Pascal particularly focuses on the implementation and adoption of new technologies that impact on many aspects of our everyday lives. In order to be successful, these technologies have to fit the social contexts in which they are used. This requires taking human factors into account in the design and implementation of technological innovations, as well as enabling people to properly and satisfactorily use these new technologies in their private and working lives. Pascale Le Blanc has an MSc in Psychology from Tilburg University and obtained her PhD from Utrecht University in 1994 with a thesis on leadership in health care. 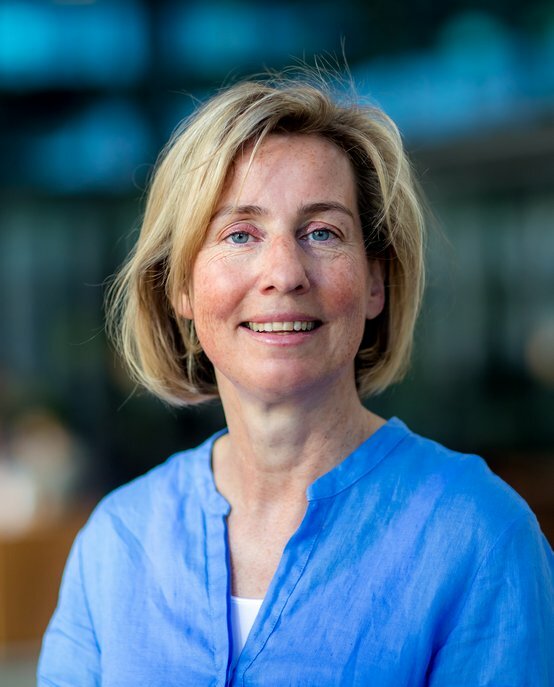 From 1995 to 2011, she worked at Utrecht University as a Postdoc Researcher and Assistant Professor, and as Deputy Director of the interuniversity Research Institute for Psychology & Health. During this period, she started up her research line on workplace interventions to prevent stress and burnout complaints and/or enhance work engagement and performance. Since 2015, she has held a formal appointment as Affiliated Researcher at the Department of Psychology of Stockholm University. She has been an Associate Editor of European Journal of Work and Organizational Psychology and is currently an Editorial Board Member of the Scandinavian Journal of Work and Organizational Psychology.